Are you old enough to remember the Partnership for a Drug-Free America commercials back in the 80s? When my workspace clutter gets out of control, I feel a bit like that. I can picture my brain being beaten with a wire whisk and then tossed into a pan of sizzling butter. Does it sound like I’m being extreme? First let me clarify, I’m not talking about collecting or hoarding… I have no problem with getting rid of things. I was a regular at the local thrift store drop-off before we moved. And if I buy something and decide I’m not going to use it, I have no qualms about returning it or passing it on to a new owner. No. I’m just talking about a plain, old messy desk. Unfiled documents, notes from the webinar I attended last month, receipts for the office supplies I bought last spring… that sort of thing. Clutter can pile up in other spaces too. It comes in all shapes and sizes. Whatever form it happens to take, it can all affect productivity. The papers, pens, and paper clips spread out across our desks (or mine, at least) are clutter, whether we want to admit it or not. 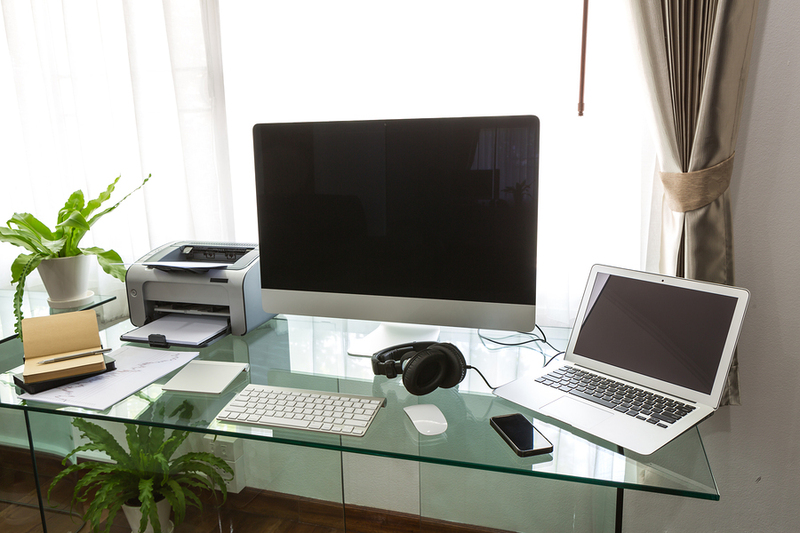 We may know which stack to look through for that invoice, but if the desk is riddled with stuff, it’s still clutter. Digital spaces get cluttered too. I am so much in your camp on this one. I find it so hard to focus on anything when my work area is cluttered and I am now in a situation where my youngest daughter has moved back home after I relocated to a smaller house. The clutter is a nightmare at the moment and I am just trying to get started with my writing 😳. Challenges all around me, but I will persevere! !